We all love bloggers with a fantastic sense of style. And when such a blogger is also capable of making you smile or burst into giggles, that’s just icing on the cake. Here’s how you can add a personal/humorous touch to your posts. You are wearing your prettiest skirt and blouse, you have stunning pictures ready to post but your mind draws a blank at what to write. Spin a yarn! Make up a story about how you met your skirt (just don’t make it as long as HIMYM). Add a fun element to your post. Being silly sometimes helps! Read an interesting article yesterday? Saw a tweet that sparked off a debate in your mind? You have a few more points to add to someone else’s post? Make a post out of it (and give credit to the source). 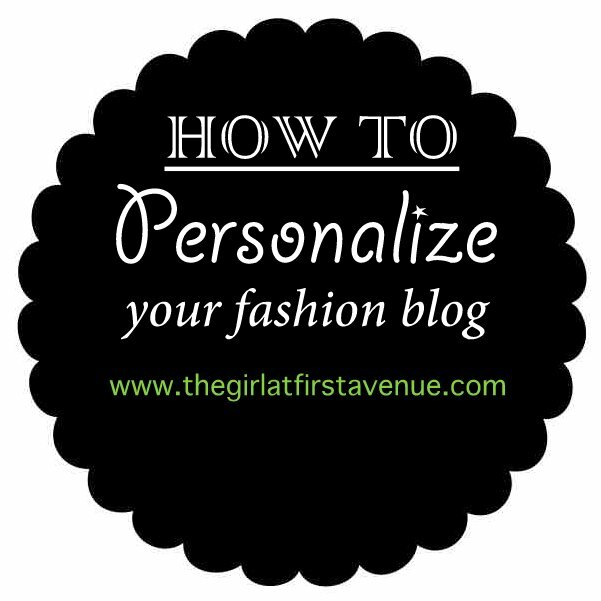 If you want to personalize your fashion blog, you don’t always have to talk about fashion. Let your readers into your mind. Let them know your way of thinking, your opinions on issues. Make people laugh. Sarcasm, satire, and witty one-liners – they all work! This is an instant icebreaker. There is nothing more delightful than knowing the other person is as big a klutz as you are. Readers will connect to you and love you instantly. But don’t go overboard and sound like a fool! “I decided to wear my new shoes for the party. I paired it with so and so and completed the look with this and that…”. I’ve already skipped reading and gone to the next blog after a quick look at your pictures. If you want comments which are more meaningful than just ‘Nice post’ or ‘Awesome outfit’, you’ve got give more meaningful content. This is my favorite and is totally fun to read. Had a hilarious conversation with your friend? Overheard two people talk about something really funny? Writing, “I said” “She said” posts are really fun to read. Rachel : Oh, God ask them what they want! Monica : Could you please tell me what this is in reference to? Yes hold on. Just don’t quote FRIENDS, but write your own conversation. Keep it light-hearted and have fun with words! Good luck for LALM 🙂 ! Love ur blog. Its very nice that u share these tips.